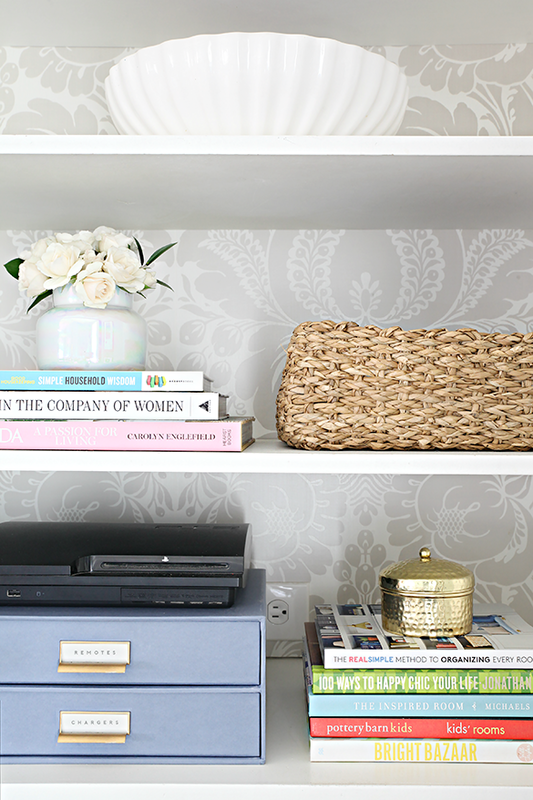 7 The Best of the Best: My Top Organizing Tips! I am back with part two of a four post series I am putting together with the best of the IHeart Organizing best. It's been a long time coming to take everything I have learned over the years, whether it is working in my own home or working with others, and compiling it all in a single place here on the web. Need helping getting started or prioritizing where to begin? What is the plan of attack? What is currently working well and what isn't? What storage do you need? Trying to get rid of things, but finding it hard to decide what to keep and what to pass on? 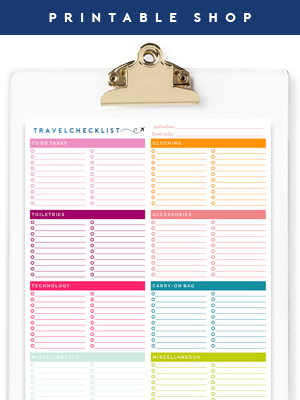 I have put together a great printable kit to help you prioritize, sort, and navigate your way through your next organizing project(s), which includes a total of TEN free printables! Instead of digging through years of my archives to find individual tips, I am going to compile the best of the best in a single, very informational post! It's going to be a whopper and a really great resource for projects of any size. I have tried almost every type of label on the market, from vinyl to label makers to stickers and chalk markers, and they all have their place. But what are my tried and true favorites? What do I reach for with almost any project due to time, cost, practicality, and ease? I will be sharing three labeling techniques that haven't failed me yet, and that you won't need any fancy tools to utilize. If I have learned anything from raising three boys and organizing along the way, it is that storage can be expensive and that our needs are constantly evolving. 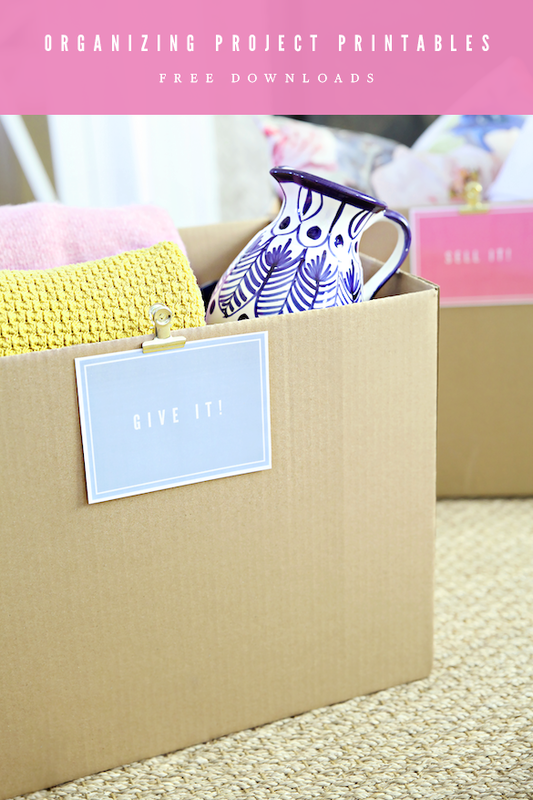 Gone are the days where I purchase pretty bins and baskets to decorate with. Although I will always appreciate beautiful storage, it has to be versatile and it has to last! With that in mind, there are a few storage products that I have found that continuously work hard for me in a variety of situations, so they end up being the types of products I gravitate toward when working on any new projects. 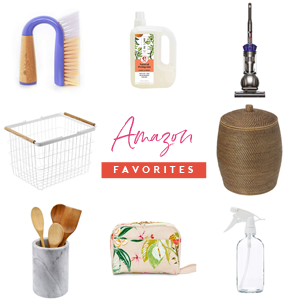 For the final post in the series, I am putting together the ultimate storage source list with tips and products that I have fallen in love with over the years. 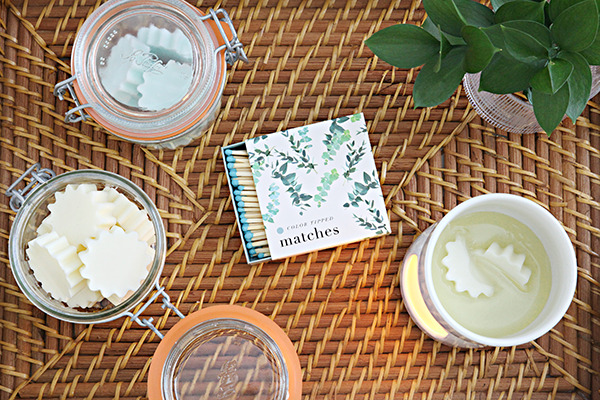 So let's dive in with part two of the four-part series: My Top Organizing Tips! 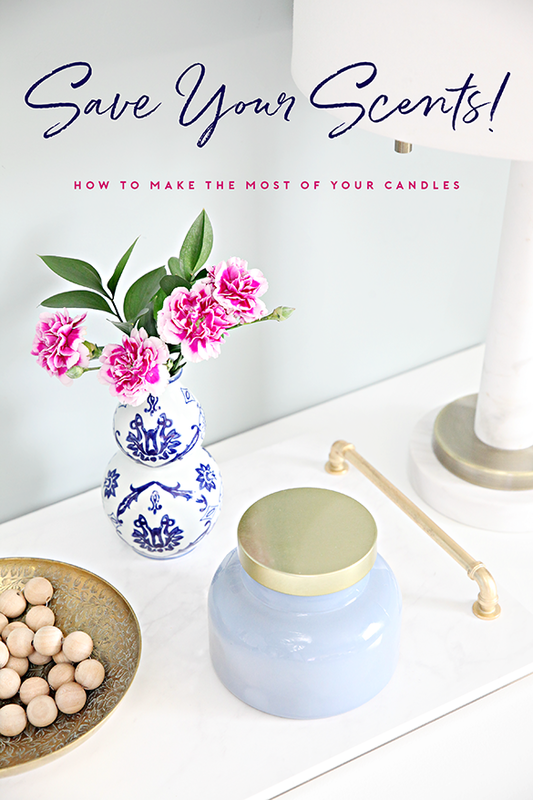 Below you will find 20 Tips and Tricks that I have learned over the year and have been crucial in setting up our home, creating more family time (what it's really all about), saving money and sanity, and even encouraging better habits by all of us. (I touched on a few of these tips in the printable post, however, they are important enough that they are worthy of the repetition). Before you start an organizing project, it is a really good idea to reiterate why the project is so important to you. Everyone has their own "why", but I encourage you to do it because it will make your life easier, it will save you time, it will bring you joy, it will reduce your stress, save you money, and because you truly understand the positivity that results from organizing. Avoid striving for perfection, comparison traps, or thinking that organizing will ultimately solve all of life's messy problems. Stay intentional and do what is best for you to get the biggest reward for the time that you invest. Sometimes I think getting yourself motivated can be the hardest part! Just getting started can be really overwhelming. And knowing where to begin can be even more daunting. You may feel like you have plenty of areas you want to streamline, but my first tip is just to take it one small project at a time. My recent printable post offers tools to help prioritize where to begin, and to summarize I typically recommend ranking your projects in terms of what is costing you the most time, money, and sanity. But also start small just to get the momentum going. Once you finish one project, you should feel some natural endorphins and also reap some immediate benefits. It is also important to know what motivates YOU! There are definitely times that I look at a mess and feel overwhelmed, so I personally find a way to put a creative twist on it. Getting to the creative side of the project feels like a fun reward to me (making labels, lining drawers, wallpapering, painting, etc...). The excitement I feel for the fun part of the project is what keeps me going during the messier moments. Are you wanting to get into a good book? Allow yourself to listen to a recording while you are sorting. Behind on your favorite television season? Sorting and organizing is a great time to binge watch something. Try researching some inspiration and #goals to get yourself visually stimulated. We know why organizing is so important, but sometimes that isn't enough, so look for your own ways to get jazzed up and excited about it! Most importantly, sometimes you just have to force yourself to start. When I am feeling sluggish or really dreading a project, I try to just push myself to take the first step to get it started. I am often surprised how quickly I can get invested, and that it is never as bad as it seems. You just need to get the blood flowing and adrenaline running. Do a little cardio, turn on some good music, and move your body... it is all SO helpful and really important. Phone: I use my phone for time management and listening to music/podcasts. Headphones: I prefer to utilize headphones while sorting to keep me focussed and drown out distractions. Sorting Signs: These are great for identifying specific sorting piles (download free here). I also like to keep a couple of empty cardboard boxes to pair with the signs and keep the sorting piles corralled and portable. Cleaner: Spray cleaner/wipes are key to giving yourself a clean slate. I always like to wipe down all of the surfaces of the area I am clearing out, as well as items that haven't seen the light of day for some time. Zip Bags: Just like rubber bands, zip-locking baggies also inexpensively corral and categorize smaller items. I find them especially useful when organizing craft supplies and small tools/hardware. Scissors: Scissors are helpful for snipping loose strings on linens and garments, opening packages and boxes, and cutting ties/bands. Notepad, Flags, Pen, and Sharpie: The notepad and flags are really great for jotting down ideas that arise during sorting, or for making a quick list of labels that need to be created (the sticky tags can also act as temporary labels mid-project). The pen is for note taking, while the Sharpie is nice for labeling boxes and baggies. Label Maker: I am going to dive deeper into my favorite label making tools in my next post, but having a basic label maker on hand is a household essential in my book. It allows you to give the area a good cleaning. It requires you to touch everything before putting it back. It encourages you to re-think how you are setting up/using the space. This tip comes in two sizes; small and large! The same idea should be used while you are loading up your cupboards, drawers, and closets. You will want to create categories of similar item types and group them together in the space. This will help you (and others) to recognize and locate the items quickly and easily. Whenever possible, it is always better to keep specific item types in as few places as possible around your home, which will ultimately cut down on the time it takes to hunt something down. For example, you may keep charging cables in your living room, entryway, automobiles, bedrooms, etc... When the time comes for needing a charger, suddenly you are looking in multiple places. In that situation, I would recommend creating a zone in your home where all of your tech lives, which would not only include charging cords, but may also include batteries, tech cleaners, keyboards/mice, media, remotes, etc... With everything within that category stored in one specific place, everyone should naturally fall into the habit of checking that one place when they need something tech related. We are generally groomed to practice this concept in the kitchen (dry items go in a pantry, silverware goes in a utensil drawer, etc...), but the same idea should be implemented all throughout the entire house. Zones can be created in bookcases, cabinets, drawers, closets, nooks, etc... It is just used as a general term for an area in your home where everything with a similar responsibility is stored. Bottom line, clutter happens when things don't have a home, or when we aren't disciplined enough to put things away. 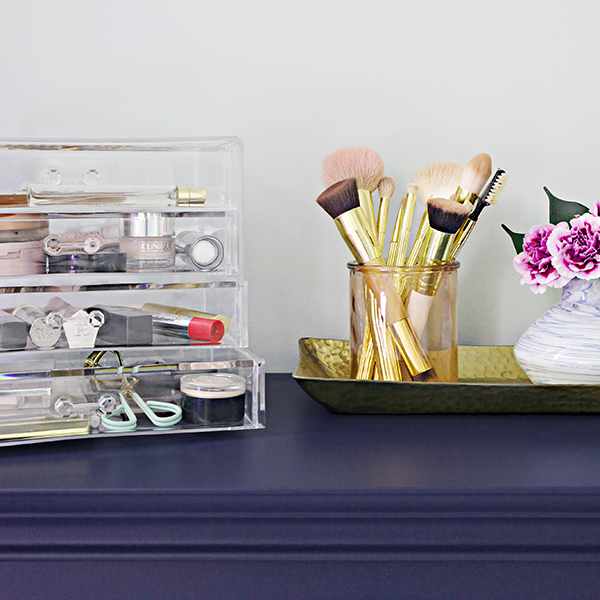 While organizing, everything you sort/touch needs to be assigned a proper home. When you run out of space, that is when it is time to purge. And when something new comes in, it is a really good rule of thumb to let something go right away. It is a good idea to know how and where you are going to store your belongings prior to adding them to your shopping cart. If you notice piles/items consistently out of place, first assign it to one of your home zones. Go from there to find a way to make it fit. Paper piles? Give yourself an inbox to corral mail until bill paying day. Returns need to be done? Put a basket in your coat closet or car to hold those returns until you are out running errands. At the end of the day, if an item doesn't have a proper home, it will cause a trickle effect of frustrations. The sorting process can really be daunting and be the one act that slows us down while organizing. We become emotionally and financially invested in our belongings. Eliminating our items can overwhelm us and even deter us from finishing our projects. Last week I shared a list of sorting questions that can be really helpful in aiding you through the process of letting things go (download free here). I like to keep it laminated and use it as a tool to help myself and others stay on track during the paring down process. I am typically pretty good about understanding the benefits of paring down and letting things go. But I am also a sentimentalist. I frequently tell myself that items do not equal memories, that memories live in my mind and heart. However, items can draw emotion and connection to moments in our lives. These days we are really lucky that we have the technology to help us retain those items without having to necessarily hold on to every last birthday card. Sometimes I think tech is taking over the world, and I miss the days of paper book pages and magazines, face to face conversations, and tangible items that are real and nostalgic. But tech can also be a blessing. We now have the ability to photograph our belongings, so when they are passed on we still have some sort of visual record of them. We can also scan our children's artwork, letters from our pen pals, and old photographs of our grandparents. Take advantage of technology and use it to store your memories digitally vs. in boxes around your home. Assign each member of the household a special box for memorabilia. These boxes could be considered a bit of a time capsule or treasure chest of sorts. It allows us to hold on to the most special of items but also encourages us to keep things pared down to a single container. Collections are best displayed in a grouping vs. spread out around the home. If you (or someone you love) collects specific items, group the best of the best on shelves or in a display cabinet. This creates more of a statement and also pays tribute to the passion while reducing the amount of clutter spread throughout. Which brings me to my next point, what good are your memories and belongings doing living in boxes in your basement or attic? Why not get them out and enjoy them, or pass them along to someone that will. Put old photos into an album or frame them on the walls. Display grandma's china or grandpa's camera collection on your shelves. Create shadow boxes of children's clothing, artwork, or clay creations. Make a blanket out of old textiles. 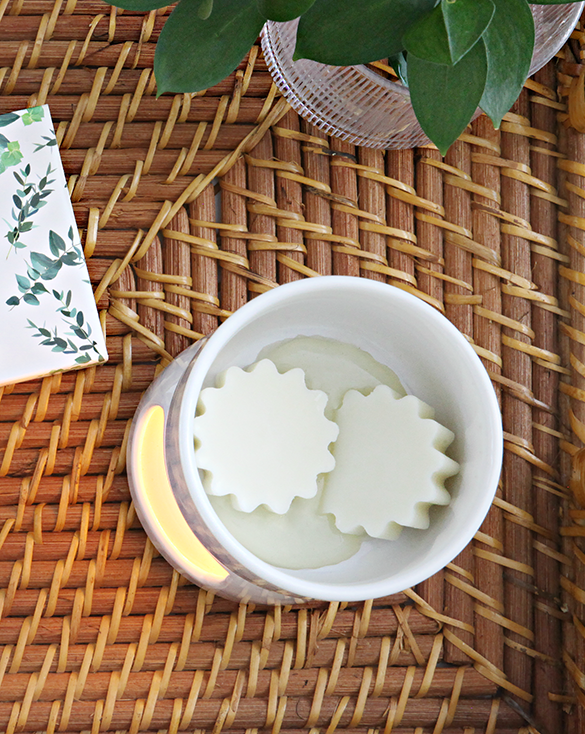 Pay tribute to your family history in tasteful and creative ways. Finally, if you just can't decide, I recommend using a bin or box as a holding cell. Pack up the items you just aren't sure about, put the box away on a shelf or in storage, and set a reminder on your phone or calendar for three months down the road. In that time, if you have not reached for or thought about those items, then you will probably be OK letting them go for good. Don't use this as a crutch for everything, but it is a useful way to really decide before doing something you might regret. This works especially well when sorting down your child's toys that they are insistent they can't live without. If you are organizing for more than just yourself, then make the process about everyone involved. It might be as simple as brainstorming and asking for suggestions, but I also recommend getting the individual(s) active with the sorting, moving, cleaning, and organizing. This will get them invested in the process and increase the success rate of maintaining things going forward. Also, be sure to consider everyone's existing habits when setting up your systems. 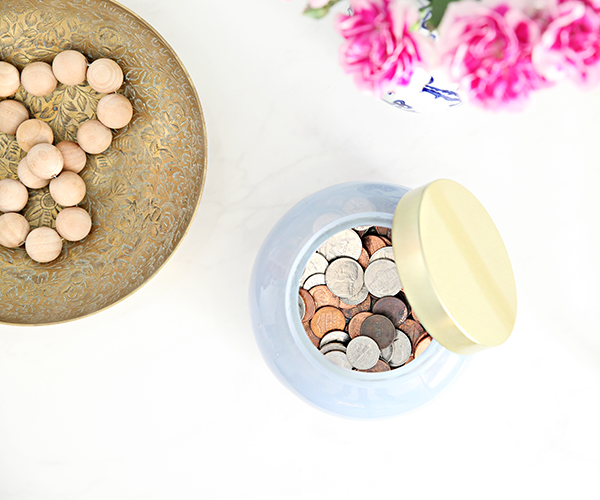 If your spouse has a habit of dropping their change, keys, and wallet in the same place each day, then maybe consider adding a decorative tray in that exact spot to corral it and make it look more intentional. Sometimes it is easier to create a solution based on the habit than it is to change the habit itself. In the image above I worked with my son to organize his work area in a way that caters to his study style. He needs a larger, empty surface to spread out on, so giving him wall organization allows him to keep his desk clear. He does best when there are fewer distractions so we kept things fairly basic. The easier it is to put things away, the more likely we are to do it! One of my most basic tips is to use open-top bins and baskets as often as possible. 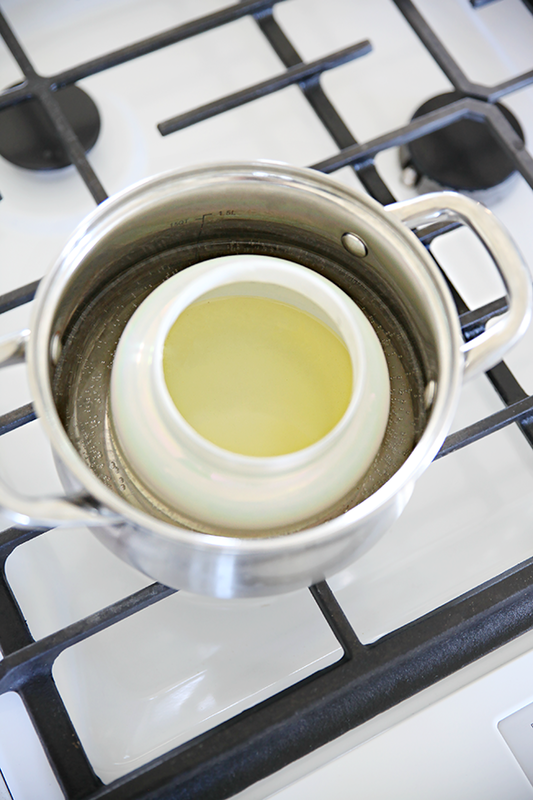 If you have to remove a lid or move an item to put something back, then you may be less inclined to keep up on it. Only stack lidded bins that are not utilized frequently. If stacking is ultimately the best solution to make the most of a space, consider using pull-out drawers instead of lidded containers, which will allow you to quickly access (and put away) the contents inside. You can see more of how I encouraged this concept throughout this entire client kitchen here. I file anything and everything I can. When I open a drawer or closet door, I don't want to have to move a pile of items to see or access something at the bottom. Filing items will allow you to better see everything at a glance, and quickly grab from the front, middle or back. Not only can you file clothing such as sweaters, jeans, t-shirts, etc... But you can also file linens, movies, baking sheets, cleaning supplies, foods... The sky is the limit! Dividers hold your items in place and prevent tipping or shifting when the drawers are opened and closed, and that means less rummaging and searching. Dividers encourage you to stop and think before stuffing random things away. If the contents are organized and divided, then it is harder to stash and dash. The dividers should naturally aid you in keeping your drawers tidier. DIY drawer organizer post can be found here. Space is typically maximized when you can make the most from floor to ceiling. Do this by adding storage to walls via pegboard or wall organizers, utilizing tall and narrow bookshelves, and taking advantage of the backs of cabinets and doors. Our hallway closet organization post can be found here. Your organizing solution does not have to be traditional, or what everyone else typically does. There is so much creativity in the world, who is to say what is normal and what isn't? 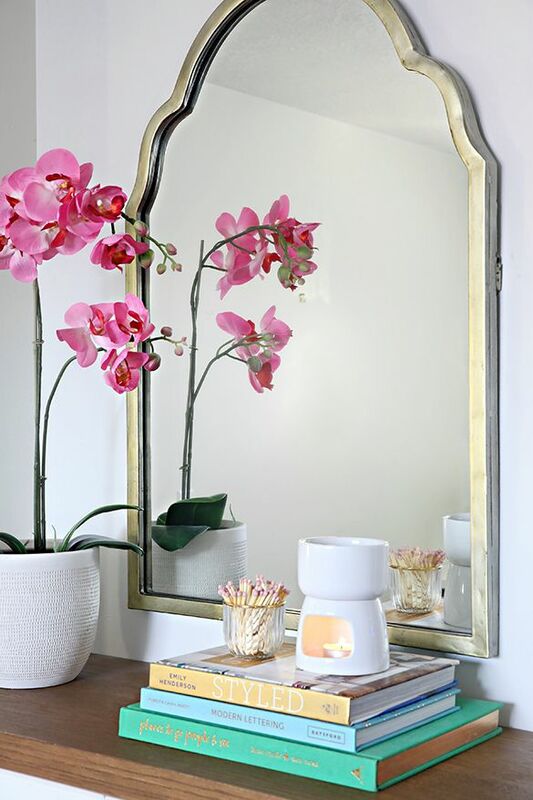 Organize based on your routine, your lifestyle, your home, your schedule, and your style. What works for me might not work for you, and that is OK! Some of the best ideas and trends are formed when people go down their own path. An example of this is the family closet concept. Typically speaking, folks have a dresser/closet in their own bedroom. However, I have seen families create a community closet used to store the clothing for the entire family in a single place. This cuts down on the time needed to do and put the laundry away, streamlines the process of getting multiple kids ready for school in the morning, and offers quick packing and planning for vacations. It may not be the way most families do it, but it doesn't make it wrong. In fact, if it makes your life easier, then it is absolutely RIGHT! In the image above you can see how we set up a small document retention area in our storage room. Not typical at all, but it offered us a place to store our unsightly and bulky items like our paper shredder and waterproof/fireproof document safe. Whenever possible, it is best to look beyond the stock shelf and hanging rod that is originally installed in most closets. Although I always appreciate a solid floor to ceiling closet system, I know they aren't always in the budget. Great closets can still be maximized by adding in a dresser or shoe rack below the hanging items, multiplying shelving with the help of a bookcase, adding a second rod halfway down the closet to double hanging space, etc... 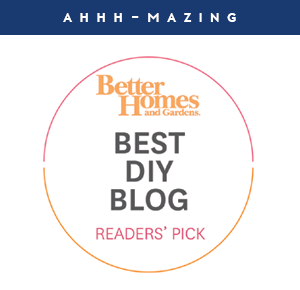 There are a lot of wonderful mix-and-match closet organizers for great prices at most department and home stores, and they can easily be paired with existing storage pieces to really maximize your overall closet functionality. Our teen boy closet organization post can be found here. Labeling is another personal preference that doesn't have a one size fits all rule. The overall purpose of labeling is to create identification. Generally speaking, it is best to label for safety purposes or to keep your household on the same page. Label food containers to indicate a specific ingredient (or lack of ingredient) due to allergies and sensitivities. Label food containers/leftovers with dates to prevent serving expired and spoiled eats. Label to indicate if an item is fragile or hazardous. Label to identify the contents of a solid container or bin. Label to differentiate multiple items that appear similar. Label to help children identify where to find things/put things away (toys, snacks, clothing, etc...). Label to identify the possession of items between household members. Label to create consistency or understanding between household members. Again, it really comes down to how your household functions and the dynamic of everyone who resides there. Labels can be extremely helpful but are not always necessary. The next post in this series is all about my favorite labeling tools, but this label maker can take on just about any labeling task. If you are looking to label something temporarily, consider dry-erase options. The act of organizing is FREE my friends, because organization happens naturally when you pare down and categorize. But we would all be silly to think that storage containers are not a beneficial part of the organizing process! There are endless benefits to utilizing dividers, bins, and baskets to separate and store our belongings, and they ultimately encourage us to maintain our systems while also providing accessibility and space maximizing advantages. There are quite a few ways to save money on storage, but the biggest is to just wait. Once you have gone through the sorting, purging, and categorizing process, I encourage you to live with it for a bit before investing in containers. This ensures you like what you have done so far, and reduces the chances that it will be changed out in the upcoming weeks/months. Also, you may realize that you don't need as many containers as you initially thought, and you might even find some extra storage around your home as you continue to check projects off of your list. Bonus Tip: Once you do purchase your organizers, don't remove the tag/label right away. Tuck the receipt inside and take the storage for a spin before fully committing. This makes it easier to return if you find it isn't working out as originally planned. Deep pantry organizing tips can be found here. I have met quite a few organizers in my day, and I still don't know a single person who gets it right the first time, every time. So if you find something isn't working out, I encourage you to be forgiving, stay positive, and try again. Also, remember that your needs are constantly evolving and changing. That means that your systems and home need to change with you. Organizing is a process and a journey and never a one-and-done. And if you feel like you have exhausted all options, don't be scared to ask for help and advice from friends, family members, and experts. Where there is a will, there is a way! In the image above you can see how our awkward coat closet went through multiple phases to finally get us to a place of easy maintenance and organization. Now that you have put in all of the energy organizing that closet or setting up a new system, you are halfway there! Only halfway you say!? What's left!? The key to any successful organizing project is to get into the habit of using it and maintaining it. An inbox is not going to keep your documents organized if you still toss them on the counter, or if you don't get in the habit of clearing it out on a frequent basis. No matter what, keeping a neat home takes a certain level of discipline. This is why some of the tips above are so important; especially a less-is-more attitude and keeping your storage solutions as simple as possible. Dishes, clothes, and papers are not going to put themselves away, but once you get your systems set up and give everything a proper home, tidying up will become easier and easier. It truly takes time to create new, healthy habits. And it can be especially challenging to encourage positive changes out of others. We have found this Habit Tracker to be extremely helpful in maintaining our systems and encouraging better habits in our household. 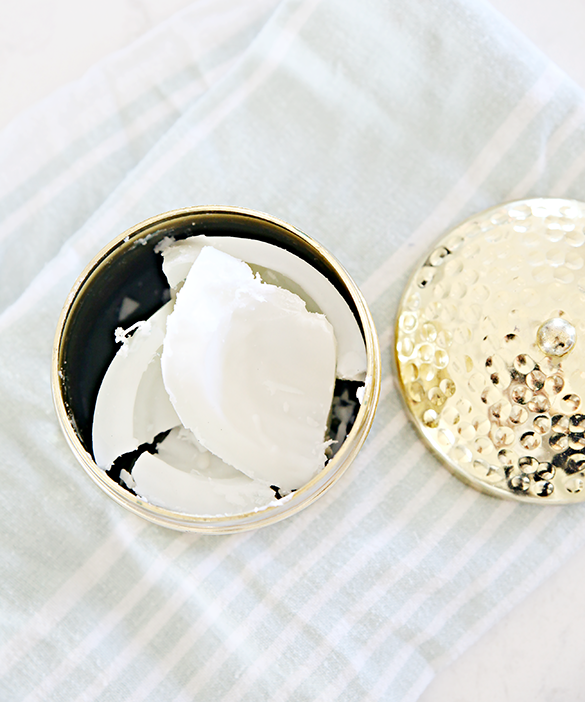 A few ways we have used it is for the boys to put their belongings away after school, for my husband to get his clothes into his hamper each day, and for me to keep our bathroom counter clear of beauty products. The goal is to begin doing these things naturally as part of our routines, and the tracker is a really wonderful way for us to stay motivated and accountable. WOW! Talk about A LOT of information! Obviously, this is a subject that I am passionate about. This post started out as 8 top tips, then went to 15, and ended at 20! And I probably could keep going! And I have even more to come! 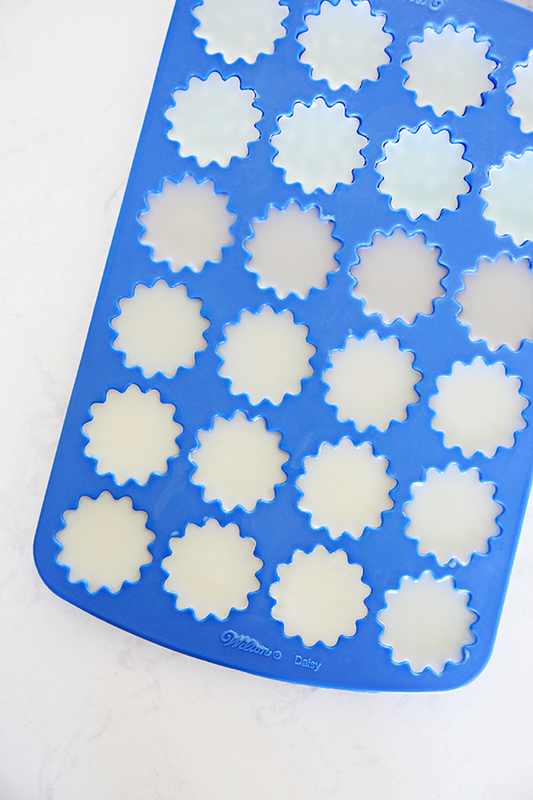 'Stick' around because next up I am chatting all about labeling and my no-fail labeling products! 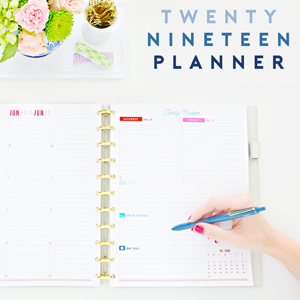 23 Gearing Up for Your Next Organizing Project with a FREE Printable Kit! Hello, hello! 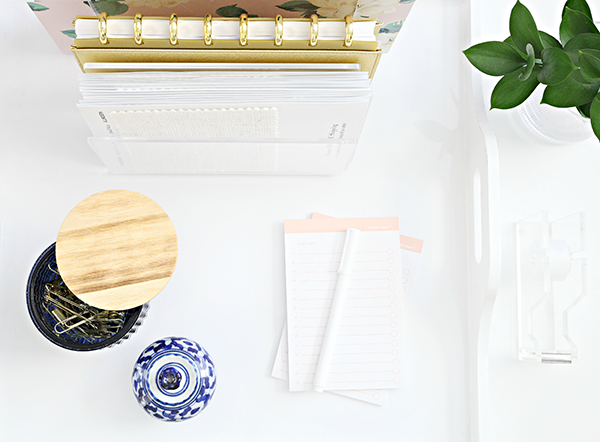 I am excited to be dropping in with a small series I have been putting together for you all, which includes my all-time favorite organizing tips, tricks, advice, and products! It's been a long time coming to take everything I have learned over the years, whether it is working in my own home or working with others, and compiling it all in a single place here on the web. So let's dive in with the first of the four-part series: Gearing Up for Your Next Organizing Project with a Free Printable Kit! 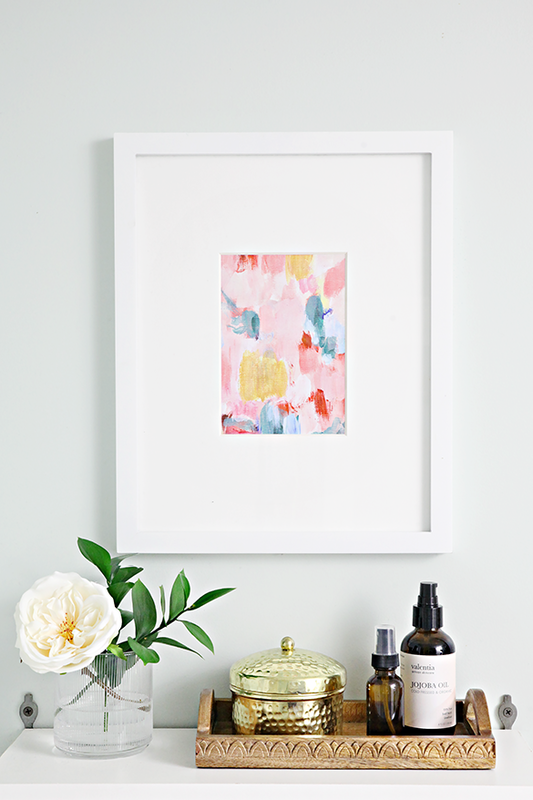 Today I have for you all TEN free printables! Now, you don't have to use all of these printables for a single organizing project. They all serve different purposes and can be helpful to guide and encourage in a variety of ways. They really emulate my thought process when working on projects of any scale, and serve as really wonderful tools to keep organizing projects organized! Below you will find a link to each printable as well as a brief explanation on how to utilize each one. The Daily Schedule printable is typically my key to prioritization when I am feeling overwhelmed and not quite sure where to begin. It also really helps me when I need to reconsider how I am using the hours throughout my day. It can be really eye-opening to spend a single day and track how your time is being utilized. It may shed light as to how much time is being wasted on social media, or simply bring attention to parts of the day that are just too chaotic. From sun up to sun down, track the tasks you are doing throughout the day, as well as the specific details about what is working and what is not. Tasks could include exercising, making kid's lunches, getting ready in the morning, homework hour, dinner, clean-up, bill paying, etc... Are you noticing that certain times of the day cause you frustration? Do some tasks take longer than they should? Are there ways to streamline specific tasks so they are more manageable? This is a really great way to get a visual of a typical day and provide some insight on what tasks could use some organizational attention. My biggest tip when trying to figure out where to begin and prioritizing your projects is to focus on your day-to-day routine FIRST. The storage room can wait, it is important to get your days running smoothly before you can invest time on the outlying projects. Looking at your day and tasks listed in the first printable, select the top five areas of your day that could use improvement. It is extremely important to factor in what those specific tasks are costing you in terms of time, money, and sanity. For example, if you are finding that you are unhappy with the process of lunch making for yourself or your kids each day, you can probably equate it to costing you money in wasted food or eating lunches out, and costing you time in the act of preparing the lunches each day. The solution may be creating a list of favorite lunch items, setting up a lunch making station in the pantry and fridge, and spending time making lunches in bulk on a Sunday afternoon. Prioritize your projects by the highest cost to the least (cost equating to time, money, and sanity). List out the problem as well as possible solutions. This printable is a great way to encourage brainstorming and to give yourself a starting point. Homes work best when they are set up into functioning "zones". That means categorizing specific closets, drawers, nooks, etc... into a specific zone and then detailing out what items make the most sense to be stored there. In the first field, list a specific location or zone in your home. For example, an entryway closet. Then, give that location a general category in terms of how it should function. An entryway closet would generally function as a place to store outerwear and shoes, but may also act as a hub for cleaning and pet supplies. In the belongings field, list out the specific items that should be stored in that zone so that they match up with the working category. This is a very eye-opening exercise and really ensures that items are only being stored where they make the most sense vs. being scattered in multiple locations throughout the house. Now that you have a specific project in mind, it's time to plan it out! This may not apply to smaller organizing tasks, such as a single drawer or your handbag, but it really comes in handy for those larger scale projects. Utilize the top portion of the form to recognize and detail the specifics of what was already working, as well as what needs to be addressed by the end of the project. The bottom portion of the form is helpful for keeping track of specific steps or tasks to get from start to finish, as well as any products or supplies that need to be purchased along the way. Sometimes it can be helpful to draw your drawer or closet to scale. I have been known to sketch out closets, pantries, and drawers ahead of time to be sure all of my storage needs fit and make sense. This exercise allows me to maximize the area that I am organizing and helps me to visualize the end goal. Assign a specific measurement to each square and sketch up a general plan for your project. Grid out drawer organizers or design a full closet installation. The graphing area is useful for creating the outlines of bins and baskets to ensure that you get a nice fit and make the most of the available space. Do you have a really large project that requires a lot of new storage? You can keep track of it all with this helpful storage printable! Larger closets and whole room makeovers require a variety of storage options for various belongings and item types. This printable allows you to keep track of the different categories, assign the ideal container, source the storage from a variety of locations, and most importantly, keep track of all of the dimensions. For example, you are organizing a walk-in closet. Item categories might be handbags, jewelry, dress shoes, sweaters, etc... Storage types would then be shelf dividers for the handbags, drawer organizers for the jewelry, shoe boxes for the dress shoes, and canvas boxes for the sweaters. In the form fields, keep track of the sources, quantities for each, and total available space/dimensions for each container type. In the end, you will have yourself a very thought-out shopping list to work from. After you have done all of the planning, it is time to empty the space and start your sorting! Download, print, and cut the sorting signs, then score some bonus points for running them through a laminator to get multiple uses out of them. Clip or tape the signs to cardboard boxes, bins, laundry baskets, or garbage bags to keep your piles separate and clearly labeled. Move It! Items that need to be moved to another area of the house. Give It! Items that are heading to a donation facility, friend, or family member. Toss It! Items that no longer serve you (or anyone else) due to quality/function. Sell It! Items that need to be listed on Craigslist, Facebook, eBay, etc... or added to a yard sale pile. Now that you are in the sorting mode, keep track of the items being donated for your tax records. Make note of the donated item description and condition, as well as the organization that the item is being donated to. There are a variety of resources online to help you determine the appropriate value of the item, like this one and this one. Clip the receipts that you receive from the charity at the time of the donation to the printable, and file it away with your tax documents. Right now the trend when sorting your belongings is to ask each item if it truly "Sparks Joy". While I agree that when you are sorting and touching each item, you probably get a gut sense of whether you should keep or discard the item, there are times when you need some extra nudging and guidance to make a decision that you are comfortable with. I recommend printing (and laminating) this document and attaching it to a clipboard to keep nearby while sorting your belongings. If you find yourself holding something that is leaving you conflicted, use this printable to ask yourself a series of questions. A lot of times we continue to hold on to items out of guilt, maybe because we spent too much money on it or because we received the item as a gift. Many belongings hold sentimental value, but could possibly live on by taking a photo of it or scanning it in digitally. Other times it may come down to the amount of space you have vs. the number of items you would like to keep. Belongings can cost you in space, special storage requirements, ongoing maintenance, etc, and these questions will help you reassess that reality. 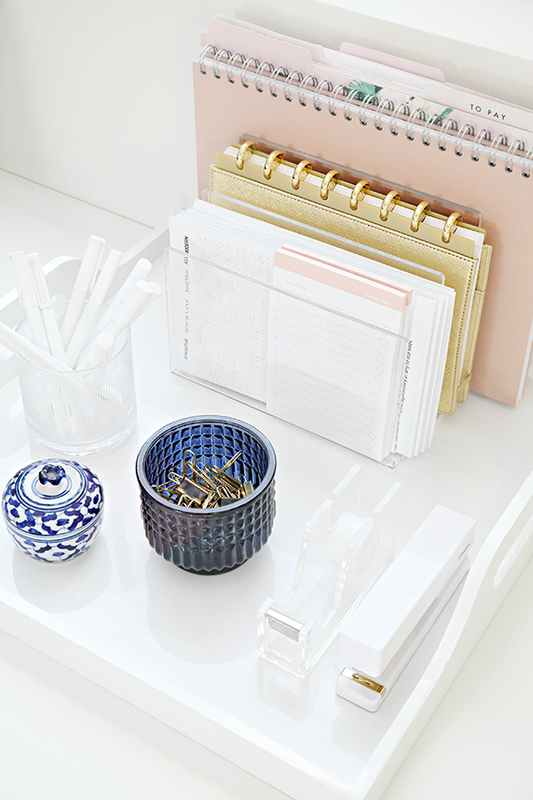 Organization and habits go hand-in-hand. The act of organizing and adding storage will get you halfway, your habits are what complete the process. In fact, good habits are the most important part of living a more organized life. Whether it be encouraging your child to take his/her backpack to their room each day or reminding yourself to go to bed with an empty kitchen sink each night, creating a habit makes it easier and easier to get things accomplished each day and guides you in slowly changing things for the better over time. Use the fields down the left-hand side to add the good habits you are trying to create. 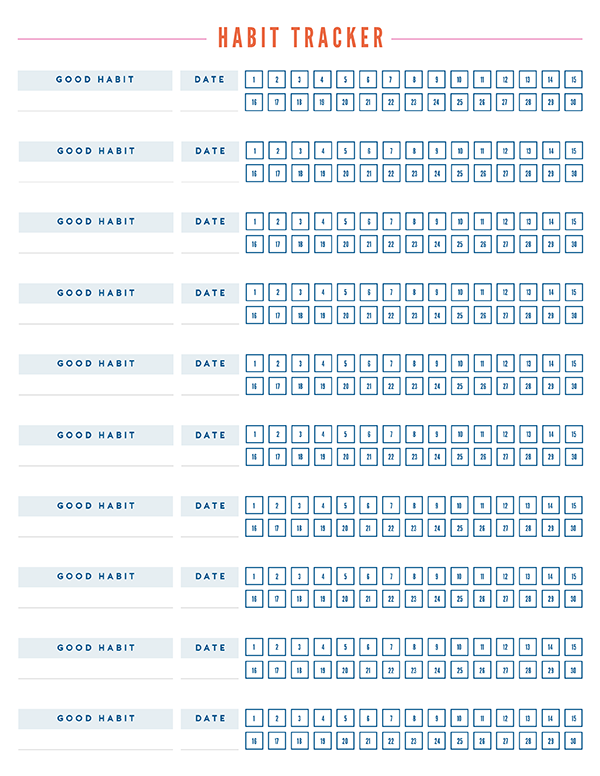 There are enough fields to do this as a family or to track multiple personal habits throughout your own day. To the right, there are 30 boxes to check. You can either start at the beginning of the month or start halfway through and set a goal to check as many boxes possible. I have heard that it takes 21 consecutive days for a habit to be formed, so by day 30 you should really be on your way to making a small difference in your life. All of the free printables shared in this post are designed to be downloaded via the links provided. Simply click the Download button at the top of the linked document screen, you may be asked to log-in to Box.com, but that is not required to download and save the document. Once the document is downloaded, it should be opened via Adobe Reader (find it for free here) and can be printed and used as many times as you wish. If you prefer to use these forms digitally by filling in each field on your computer, tablet, or phone, you can purchase the fillable versions of all of these forms in my Etsy shop here. 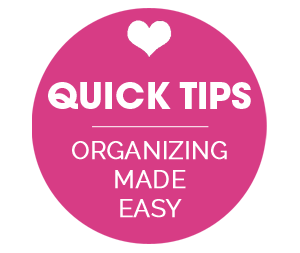 I hope this post offers a few general tips to get you going with your next organizing project! The next post in this series will really elaborate on some of these ideas even more, and of course, there will be a few new gems in there as well!